Bath salts are one of my favorite recipes because they are easy and inexpensive to make, yet they provide many benefits. The salt soak really helps my aching joints, and I find it very relaxing to soak in the tub for a while. Hot water also helps my joints and muscles feel better. 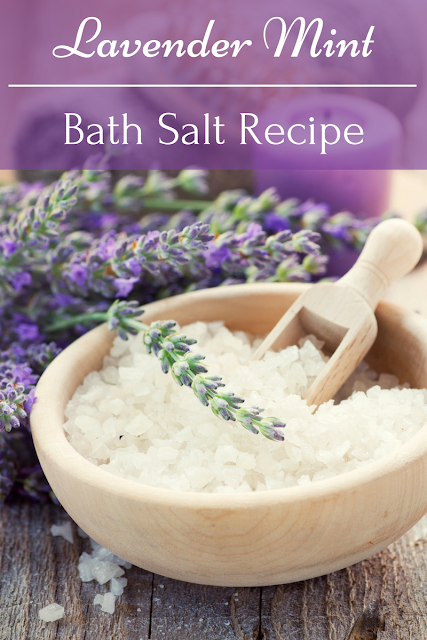 This lavender mint bath salt recipe is especially relaxing thanks to the lavender essential oil. I added some peppermint essential oil to help with arthritis, but you could make it without it. The smell combo of the two is really great, so I do suggest using the peppermint if for no other reason than to smell wonderful. 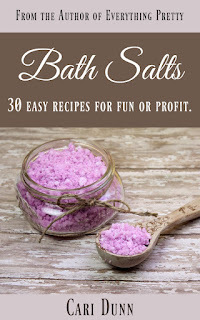 If you like bath bath salt recipes, I do have an ebook with 30 easy bath salt recipes available for the Kindle. 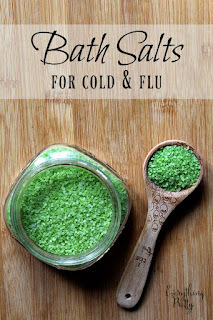 Like most bath salt recipes, this is an easy one. Just grind the lavender buds with your mortar and pestle. You want to get them almost to a powder but not quite. Combine the salts and ground herbs and stir. Add the essential oils a drop at a time until you get the right scent. Stir well and store in a jar with a lid. I prefer glass because the essential oils can break down plastic. 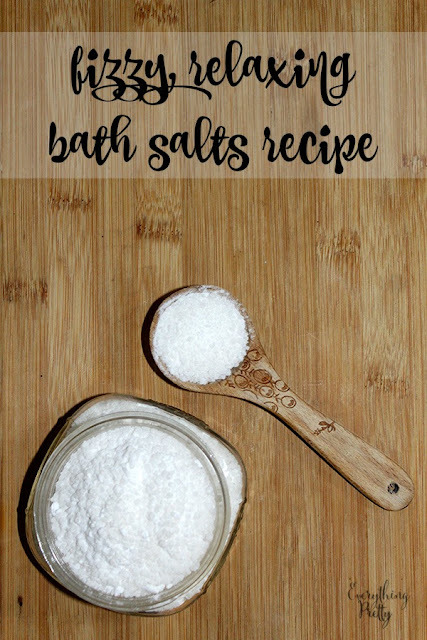 Use about 1/4 cup per bath. 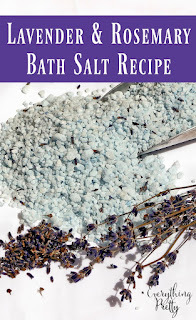 This recipe will be good on the shelf for several months as long as no water gets introduced in to the salts. 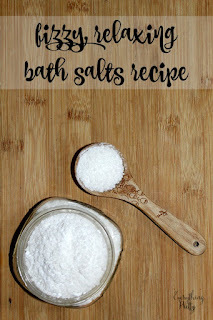 If you like this recipe, be sure to follow me on Pinterest for more DIY beauty recipes!